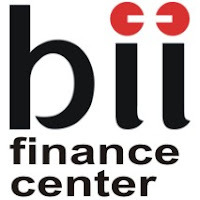 BII Finance Center has a license to move in the field of factoring, leasing, consumer finance and credit cards. At first the company only engaged in factoring receivables (Factoring), then in 1993 the company began running events lease (leasing) and was followed in 1996 consumer financing activities specifically to finance a car and motorcycle products. In the field of factoring, in addition to offering domestic factoring, PT BII Finance Center also offers international factoring possible after participation on Factor Chain International (FCI) in 1994. With the participation of PT BII Finance Center is a member of the FCI has given great opportunities for PT BII Finance Center to learn international standards, the experience gained and the other members and also to obtain a business relationship with the international community. Membership is an added value for PT BII Finance Center marketing and international business resources. Look good, be able to communicate well, be responsible, conscientious, take initiative, and work motivation high. Male / female, max. 27 years. Min. D3 Fresh Graduate (any discipline). Communicative and able to build relationships with both. Look attractive, have good analytical, conscientious, diligent, hard working, loyal, and disciplined. Have a motor vehicle and SIM C.
Send your complete application with CV, copy of last education diploma, transcripts, phone number, and a recent photograph, stating position code and area placement in the left corner of the envelope to: HR DEPARTMENT PT. BII FINANCE CENTER PO. BOX 2852 10028 - Jakarta or Email : recruitment@biifinance.co.id. For detailed information & apply online, please refer official source on following link below. All applications are appreciated and will be treated confidentially.